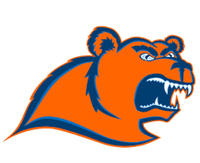 ​New London, CT – The Coast Guard Academy women's indoor track and field team has cracked the national Top 15 rankings as the Bears jumped 19 spots to #12 after outstanding performances from All-American Kaitlyn Mooney in the 3,000 meters and the DMR team two weeks ago. The Bears are the second highest ranked in the NEWMAC and the third highest team in New England as MIT is ranked second and Williams is ranked third nationally. Mooney has the fastest time in the 3,000 meters in Division III this season as she ran a 9:27.25 at John Thomas Terrier Classic at Boston University on Jan. 25th. Last season, Mooney placed fifth at the NCAA Division III Indoor Track and Field Championships to earn All-America honors. The Coast Guard DMR of Anita Green, Anna Beck, Adora Lawrence and Mooney has the second fastest time in Division III this season as they posted a time of 11:55.55 also at the Terrier Classic. The Bears will compete at the Dave Hemery Invitational at Boston University as well as the Gordon Kelly Invitational at MIT this weekend.